Hey guys – how goes it? So it’s 4:00am for me just like it pretty much always is when I blog, something about the sun rise is so beautiful to me – it’s hard to explain. Coffee ✔️ espresso ✔️ box of new makeup ✔️ i like to keep some makeup (and skin care) in a box that I want to touch base on. I receive so much makeup on a day to day basis that even something new fades to the background sadly. I love Tarte and SMASHBOX so much because they are companies that I’m close with and I’ve watched evolve. Tarte has always had Amazonian clay as an ingredient so it’s just a no brainer that they would do – slay with clay. SIDE NOTE – makeup 101 which I’ve used since the get go of my blog – nope, not saying I invented it. Calm down. So im going to start calling my new product launches and reviews MAKEUPANDTHECITY x (the brand) and then name the collection. It’s new and current and feels, right. 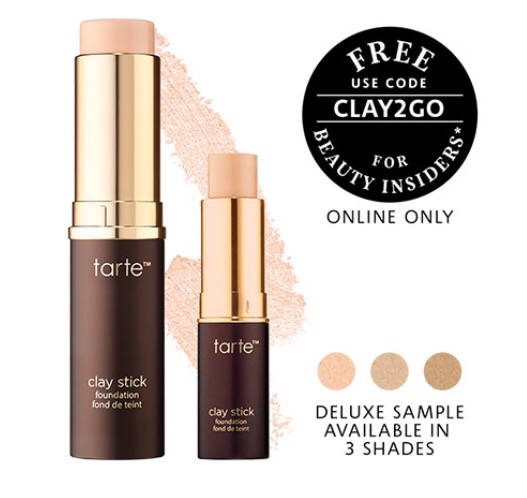 SLAY WITH CLAY is one of the newest collections from Tarte with the new clay stick foundations • smoothie blender foundation brush • clay face shaping palette • clay smart mascara • clay lid primer • so if you didn’t know Tarte was the first company to use the breakthrough Amazonian clay and maracuja for their amazing complexion products. Today Tarte is a leader in healthy, eco-chic beauty, offering cruelty-free cosmetics infused with skinvigorating™ ingredients. The Clay Stick foundation is amazing and so good for the skin I remember when the PR was sent out for this you open it and there was super healthy energy bars and I was like what the heck..? But they really are like a healthy snack for your skin. It’s a cool powder to liquid formula very similar to the MUFE (make up forever) HD stick foundations but better for you skin for sure. It’s a medium to full coverage but buildable remember what I always say – it’s easier to add then to take away with makeup! There is Micro-encapsulated powders that burst with your body heat to keep you shine and cake-free. Vegan formula • antioxidants • vitamins C + E • amazonian clay • a total skin-balancing powerhouse that hydrates or mattifies depending on your skin type. There is zero • gluten • talc • artificial fragrances • parabens • sulfate • It’s pretty much got it all for a simple foundation stick. The packaging is simple but in Tarte fashion the top of the cap has a cool details. $50.00CAD for 9 g / 0.32 Oz. PRO TIP ➡️ apply with the smoothie brush from Tarte it’s so pretty and feels amazing in the hand and like every Tarte brush (pretty much the only brushes I now use) the quality is unstoppable. The secret’s in the dense, angled bristle design that targets coverage where you want it. Use small, circular, blender-like strokes for a natural, cake-free look. $36.00CAD and available here. Next ➡️ we have the #SLAYWITHCLAY face palette and I won’t lie I’ve been looking for the ultimate complexion palette for travel or for home use and I really hoped and thought it was going to be this but sadly it’s only for shaping the face and eyes (I might have my own complexion palette coming soon) but it doesn’t make it any less amazing and a total must have for summer 2017 – Tarte always have amazing packaging for their palettes and this palette is, stunning! Twelve (12) essential Amazonian clay matte eyeshadows multitask as universal eye, nose & brow shapers, plus contour colors so you can, well, slay with clay. SHADES • journey (rosy buff) • stone (rosy brown) • solstice (ivory) • terracotta (warm taupe) • dunes (slate brown) • smoke (coffee) • sand (cream) • desert (cool taupe) • ember (amber brown) • onyx (black) • instinct (buff) • timber (chestnut) • Each microfine powder blends to a natural, longwearing finish minus the harsh lines. The secret’s in the clay: it helps balance & replenish skin so you get the most even payoff without creasing, caking, or flaking. The bronzer and contour shades are perfect for any skin tone when you are looking for a real looking contour colour you wanna go for a more cool toned shade so that it can mimic shadows tone realistic. 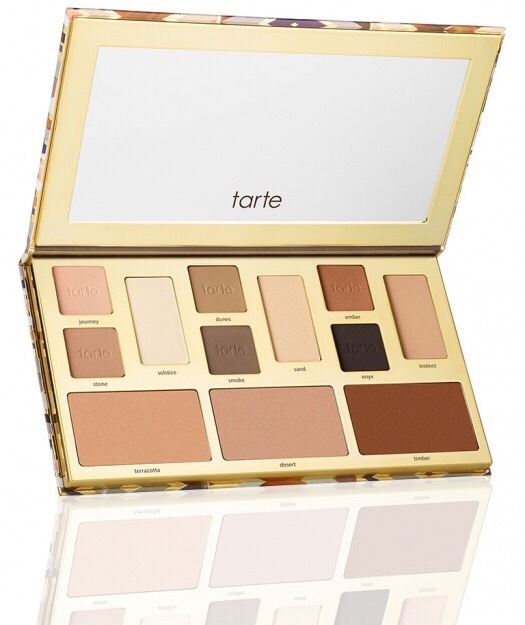 I’m not sure if you’ve ever had the pleasure of smelling a Tarte palette it smells like vanilla chocolate but more like vanilla thanks to vanilla extract added to the formula. God I could smell it forever. SIDE NOTE ➡️ it does come with a little booklet like most companies throw in on some looks that you can create with that palette and it’s nice but where is the fun in that. Makeup is an expression of art – and you. All of them had very good pigmentation and a smooth, silky formula that blended well and adhered to the lid nicely without primer. They didn’t crease nor did they fade during the wear of the model. It’s debatable whether you can dupe these shades across other Tarte palettes. Sure, there are shades that look similiar to past palettes but I’m going to go say they aren’t complete dupes of past shades. Shades like Timber, Terracotta, Dunes, Smoke, Stone, Instinct, all felt very unique to me. Again this is a good palette for travel. 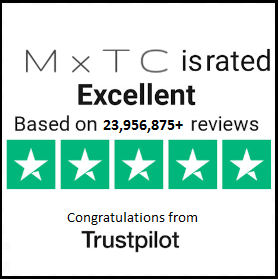 They are ophthalmologist tested • safe for contact lens wearers • dermatologist tested • it’s nice when a company makes sure their products are safe! ➡️ i loved this palette and if you’re interested in learning more click here. ➡️ for the rest of the SLAY WITH CLAY collection click here. For SEPHORA lovers and shoppers click here to take advantage (while supplies last) to get a cute little mini! Use code CLAY2GO at checkout. SMASH THAT FOLLOW BUTTON AND SHOW SOME LOVE – HAPPY PRIDE. Sometime small comments can mean a lot to someone who shares as much as I do on the internet – like I said many many times a look into my word is sometimes crazy and unforgiving. I don’t accept comments, I do get them and read them all – and ask anyone from the comment of the week I do respond to your comments. There is a good reason like a wall of dimonds backing up every decision I make.